In March 2008, I wrote an article at World Football Commentaries entitled "John J. Fisher Bids on AS Roma?" A story on Monday, 24 January 2011 from La Roma 24 indicated that a meeting between AS Roma investor representatives and American interests would take place on Tuesday (25th) in New York. Mr. Fisher's name was mentioned in the article but not as the definitive potential buyer. The New York Mets/Giants Group had also been mentioned as potential suitors for AS Roma earlier this month in the New York Post. The original article is at the bottom of this post. I have left it there for comparative purposes since it was a rare attempt at American ownership in Italian football. Last year, Tim Barton of JMJ Holdings tried to purchase AS Bari. John Elkann, Chairman of FIAT and a majority shareholder at Juventus, was born and raised in New York City. His grandfather was Gianni Agnelli. My Interview with Julian Movsesian, partner in the new ownership group, DiBenedetto AS Roma LLC: 8 February 2011. The DiBenedetto Group is now the owner of AS Roma, SpA. "Thanks to everyone for having come. Yes, the deal is done." «Non mi aspettavo tutta questa attenzione. Sapevo della grande passione da parte dei romani, è stata una delle ragioni di questo impegno che abbiamo messo. Condivido questa passione, non ho mai giocato, ma mio padre si, giocava nell'American Soccer League». "I didn't expect all of this attention. I knew about the great passion on the part of the Roma fans. It was one of the reasons that we went after this deal. I share this passion, but I never played, but my father did. He played in the American Soccer League." Thomas DiBenedetto, President of AS Roma. Source: il Corriere dello Sport, 15 April 2011. According to Corriere dello Sport, it appears from my unofficial translation that the DiBenedetto Group paid €70.3 million euro for AS Roma: €60.3 million for 67% of the capital, €6 million for the training center and €4 million for "Brand Management" (which appears to be a new subsidiary.) A new organization will be comprised of 60% by DiBenedetto AS Roma and 40% by UniCredit. Shares were valued at Euro 0,6781. 1 euro = 1.4435 US dollars on 15 April 2011. "AS Roma is a princess and we'll make her a Queen." --- Thomas DiBenedetto, 31 March 2011. "Dopo una maratona estenuante durata due giorni trascorsi asserragliati dentro lo studio Grimaldi associati l'intesa di massima è stata raggiunta e passa per l'acquisizione del pacchetto del 67% del club giallorosso ora in mano alla famiglia Sensi (al 51%) e UniCredit (al 49%) da parte di una nuova società partecipata al 40% dalla banca di Piazza Cordusio e al 60% dalla Di Benedetto As Roma Llc." "I rappresentanti di Unicredit si recheranno entro il 20 aprile negli Stati Uniti per sottoscrivere i contratti con i delegati della cordata americana". "The representatives of UniCredit will reconvene by the 20th of April in the United States to sign the contracts with delegates of the American consortium." "After a exhausting marathon that lasted two days that took place barricaded inside the Grimaldi law firm, a maximum agreement has been reached for the acquisition of 67% of the shares of the Roman club now in the hands of the Sensi family (51%) and UniCredit (49%) by a new organization with 40% held by the Piazza Cordusio Bank (UniCredit) and 60% by DiBenedetto AS Roma LLC." Source: il Corriere dello Sport, 30 March 2011. Please note: The amount of the purchase has not yet been disclosed by either the buyer or the seller. Mr. DiBenedetto arrived in Rome on Monday, 28 March 2011, to finalize the purchase of AS Roma with UniCredit. Mister DiBenedetto: perché proprio la Roma, come le è venuto in mente? "Non ho mai pensato ad altri club. Il mio rapporto con Roma nasce dal fatto che l'università in cui ho studiato, il Trinity College, di cui sono ancora un membro del consiglio, organizza da 25 anni un campus a Roma. È una città meravigliosa, poterla rappresentare nel mondo con un veicolo di business e passione tanto importante come il calcio per me sarà una grandissima opportunità". Ripeto: l'obiettivo è fare della Roma uno dei primi club del mondo, una squadra di cui la città possa sempre andare fiera, ma ovviamente ci vorrà del tempo". Mister DiBenedetto: Why was it AS Roma? How did you come to have them in mind? TD: "I never thought about other clubs. My rapport with Rome (city) was born in the fact at university where I studied, Trinity College, of which I'm still a member of the board, has organized a campus in Rome for over 25 years. It's a marvelous city. To be able to represent it in the world with a business vehicle and passion such as Italian football is so important for me. It will be a great opportunity." TD: "I repeat: The objective is to make AS Roma one of the top clubs in the world. A team in which the city can always be proud, but obviously, it will take time." Lei sarà il presidente, ma non l'unico soggetto coinvolto nell'operazione. Può darci qualche informazione sui suoi soci? Quanto saranno coinvolti? "Sono miei amici, tutti imprenditori o manager di successo, con le risorse economiche necessarie per questa operazione. E tutti affascinati da questo progetto. James Pallotta, uno dei proprietari dei Boston Celtics di basket, metterà a disposizione le sue competenze sportive, ha già valutato attentamente le potenzialità del club. Michael Ruane vanta una carriera di successo nei fondi di investimento e nel settore immobiliare, sarà coinvolto soprattutto nel progetto del nuovo stadio. Richard D'Amore è un esperto dei new media e servirà a sviluppare quel settore". You will be the President but not the only subject involved in the operation. Can you tell us a little more about your partners? How will they be involved? TD: "They are my friends. All are business owners or successful managers with the neccesary economic resources for this operation. All are fascinated by this project. James Pallotta, one of the owners of the Boston Celtics, will put into play his sporting competencies. He has already closely evaluated the potential of the team. Michael Ruane boasts a successful career with investment funds and in the real estate sector. He'll be involved above all in the new stadium project. Richard D'Amore is an expert in new media and will act to develop that sector." Source: La Gazzetta dello Sport, 28 March 2011. «Compagnia Italpetroli comunica che, nell'ambito del processo di dismissione del pacchetto azionario di controllo in A.S. Roma, si è deciso di procedere ad una fase di negoziazione esclusiva con la società statunitense DiBenedetto AS Roma LLC che, come comunicato in precedenza, ha formulato l'offerta più competitiva tra quelle pervenute. In tale contesto, in data odierna il consiglio di amministrazione di Roma 2000 S.r.l. - società interamente controllata da Compagnia Italpetroli che detiene la partecipazione di controllo in A.S. Roma - ha deliberato, anche sulla base delle informazioni ricevute dall'advisor Rothschild, di concedere a tale potenziale acquirente un'esclusiva negoziale per un periodo di 30 giorni». "The Italpetroli Company announces that in the process of exchange in control of A.S. Roma, it was decided to proceed in an exclusive negotiation phase with the American group, DiBenedetto AS Roma LLC that, as previously was communicated, made the most competitive offer from all those received. 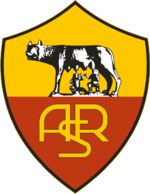 In such a context, on today's date, the administrative adviser of Roma 2000 S.R.L., the group wholly controlled by Italpetroli that holds the control of A.S. Roma, had deliberated, also on the basis of the information received from the Rothschild advisers, to allow such a potential acquiring party an exclusive negotiation for a period of 30 days." Source: Il Corriere dello Sport, 15 February 2011. «Continueremo a lavorare per concludere con successo le negoziazioni il più presto possibile». "We'll continue to work to successfully conclude the negotiations as quickly as possible." «I miei partner in questa iniziativa rappresentano il più alto livello di professionalità ed entusiasmo e siamo rappresentati da investitori con grande esperienza sia nel mondo dello sport che della finanza». "My partners in this initiative represent the highest level of professionalism and enthusiasm and we are represented by investors with great experience in the world of sport and finance." «Siamo onorati che la nostra offerta sia stata scelta come la migliore». «quanto prima intendiamo avviare in nostro progetto di crescita che mira a valorizzare la società e la squadra non perdendo di vista il fatto che agiremo come custodi di questa grande squadra nel nome dei cittadini di Roma e di tutti i tifosi della As Roma». "We are honored that our offer was selected as the best one." "We intend at first to begin our project of growth that looks to evaluate the organization and the team. Not losing sight of the fact that we will act as custodians of this great team in the name of the citizens of Rome and all of the fans of AS Roma." Source: Tuttosport, 15 February 2011. "Dopo il baseball dei Red Sox, il basket dei Celtics. Per chi è pratico di sport professionistico, il top. Perché se prima erano in cinque, dopo la pos­sibile defezione di Arthur Falcone, sono rimasti in cinque. I soci americani che sono a un passo dall’ac­quisto della Roma. Il nome che fin qui era rimasto sconosciuto è quello di James J. Pallotta, 53 anni, socio della Boston Basketball Partners LLC che nel 2002 ha acquistato per circa settecento milioni di dollari la mitica squadra di pallacanestro di Boston, i Celtics, un marchio conosciuto in tutto il mondo". "After the Red Sox baseball team, the Celtics basketball team. For those familiar with professional sport, the top level. Because if before there were five partners, after the possible defection of Arthur Falcone, five have remained. The American partners are a step away from the acquisition of AS Roma. The name that up until yesterday was unknown was that of James J. Pallotta, 53, partner of the Boston Basketball Partners LLC who in 2002 acquired the iconic Boston basketball team for US $700 million, a trademark known all over the world." Source: Il Corriere dello Sport, 14 February 2011. «Se portano i soldi, ben vengano!», ha commentato Sergio Rosi, il presidente del Roma Club Testaccio, enclave storica del tifo giallorosso. «Il mondo cambia - aggiunge - ma noi ci andiamo dietro. Non è gente che sta nell'ambiente calcistico ma ci sanno fare. Gli americani devono capire una cosa: non comprano solo la squadra di calcio ma l'immagine di Roma che portiamo in tutto il mondo». Rosi, presidente del club giallorosso dal 1968, confessato di aver già comprato la bandiera americana a stelle e strisce: «Siamo un pò scettici, ma è giusto che lo siamo all'inizio - ha spiegato - ma sono già pronto ad attaccare la bandiera americana al club se la notizia venisse confermata». E poi ha tenuto a precisare, con voce un pò commossa: «L'immagine di Sensi e di Viola rimarrà nel nostro cuore. Sono stati grandi: loro fanno parte della Roma». "If they bring money, let them come!" commented Sergio Rosi, the president of the Roma Club Testaccio, a historic enclave of AS Roma fans. "The world changes, he adds, but we can't go backward. They are not a group from the world of soccer but they have know how. The Americans must understand one thing: Don't buy only the team but the image of AS Roma that we take around the world." Rosi, the President of the club since 1968, confessed that he had already purchased an American flag. "We are a little skeptical, but it's normal to be in the beginning. But I'm ready to attach the American flag to the club if the deal is confirmed." Then he tried to add, with an emotional tone: "The image of Sensi and Viola (a former Roma owner) will remain in our hearts. They were great men. They are part of Roma." Source: La Roma 24, 4 February 2011. Organized fan groups play important roles at Italian clubs in ways that American sports owners need to understand and cultivate. Source: Bloomberg, 3 February 2011, "U.S. Group in Exclusive Talks to Buy AS Roma Soccer Club"; Alex Duff and Sonia Sirletti. "Potrebbe essere una svolta epocale, intanto è una notizia che ha del clamoroso: nell’incontro che UniCredit ha organizzato con l’advisor Rothschild e il cda di Roma 2000, in testa Rosella Sensi, per il futuro della Roma è stata scelta l’offerta statunitense presentata da Thomas DiBenedetto, considerata più idonea e competitiva delle altre quattro. Non è ancora un’investitura ufficiale, lo sarà probabilmente tra una settimana al massimo, quando gli americani avranno presentato i dettagli che oggi la banca gli ha richiesto". "It could be an epic turning point, such is the news that is clamorous. In the meeting that UniCredit organized with the adviser, Rothschild and the Roma group (Roma 2000), headed by Rosella Sensi, the offer made by Thomas DiBenedetto has been chosen for the future of Roma. It was considered the most qualified and competitive of the other four. It is not yet an official sale. It will probably be within a week at the most when the Americans will have presented the details that were requested today by the bank." Source: La Gazzetta dello Sport, 3 February 2011: Roma, svolta americana Unicredit ha scelto. "Conosco l'imprenditore francese che ha fatto l'offerta per la Roma. È una persona ricca e ha intenzioni serie. Questo signore - ha detto il francese a Radio Manà Manà - ha redatto un progetto ampio e dettagliato, di circa cinquanta pagine. Io l'ho letto con attenzione, se andasse in porto sarebbe un'opportunità grande per la città di Roma." "I know the French entrepreneur that made the offer for Roma. He is a rich person that has serious intentions. This man, in comments Candela made with 'Radio Mana Mana', has outlined an ample and detailed project, of approximately 50 pages. I read it with attention. If a goal is scored (he used a soccer term), it would be a great opportunity for the city of Rome." Source: La Gazzetta dello Sport, 3 February 2011, "Roma Vendita Con Thrilling." In data 31 gennaio 2011 sono pervenute cinque offerte, attualmente in corso di esame con l'ausilio dell'advisor finanziario e dei consulenti legali, anche per verificarne la corrispondenza ai criteri formali previsti nella procedura menzionata... Compagnia Italpetroli non e' nella posizione di fornire informazioni in ordine all'identitïa' dei soggetti offerenti. Peraltro, con specifico riferimento alle indiscrezioni relative alla formulazione di offerte da parte del fondo Aabar, si conferma che tale investitore non ha preso parte al processo di vendita ne' ha formulato alcuna offerta. Si sottolinea, infine, che le notizie apparse sui contenuti economici di offerte pervenute sono in piu' parti errate. Compagnia Italpetroli is not in the position to provide information about the identity of the bidders. However, with specific reference to the relative disclosures about the offer made on the part of the Aabar Fund, it is confirmed that such an investor did not take part in the process nor tendered any offer. It is highlighted that, more ever, the news that appeared about the economic details concerning the offers were in the most part made in error." Source: 3 febbraio 2011 - COMUNICATO CONGIUNTO COMPAGNIA ITALPETROLI S.p.A - UNICREDIT S.p.A.
"I can confirm that the recent talks and press speculation about Aabar's interest to buy AS Roma are unfounded," Mohamed Al-Husseiny, the chief executive officer of the Abu Dhabi government investment vehicle, said in a statement. "Noi in questo momento non potevamo tirare fuori un centesimo... Zero soldi, zero mercato". "Right now, we were not able to shell out a cent (in the transfer market.) "No money; no transfer market." "No, io non do qualcosa in più per un nuovo acquirente, io ho sempre dato il massimo per tutti, per me stesso, i giocatori e la Roma. A 60 anni mettersi in evidenza è difficile, di me già si dovrebbero sapere pregi e difetti. Se non dovessi rientrare nei progetti dei futuri proprietari non me la prenderei, io ho fatto il mio". "No, I don't give something extra for a new ownership group. I have always given the utmost for everyone, for myself, the players and AS Roma. At 60 years of age, it's difficult to be under scrutiny. I already know my strengths and weaknesses. If I won't be able to figure in the projects of the future owners, it wouldn't bother me. I've done my part." Note: Mr. Ranieri is a native of Rome and supported the team as a child. "Su richiesta della Consob, Compagnia Italpetroli S.p.A. rende noto che in data odierna, nell’ambito del processo di cessione della partecipazione di controllo in AS Roma S.p.A. sono state ricevute e sono in corso di ricezione le offerte vincolanti. Tali offerte saranno nei prossimi giorni oggetto di esame da parte di Compagnia Italpetroli S.p.A. assistita dai propri advisor. L’esame delle offerte vincolanti avverrà sulla base di criteri non solo quantitativi ma anche qualitativi." "On the request of 'Consob,' the ItalPetroli Company has noted that on today's date, in the matter of the process to transfer the participation of control of AS Roma, binding offers have been received and are being officially noted. Such offers in the next few days will be objects of examination on the part of ItalPetroli, assisted by its own 'advisor.' The examination of the binding offers will take place based upon not only quantitative but qualitative criteria." Source: COMUNICATO COMPAGNIA ITALPETROLI S.P.A., 31 Jan. 2011. Giampaolo Angelucci, an Italian entrepreneur who expressed interest in the past. "I don't see how they can manage a team remotely. Players need to see and interact with the owners. Not abstract groups or 'funds'." Collovati won the World Cup with Italy in 1982. Italian media and fans expect soccer team owners to have a good grounding in the sport, give frequent interviews, be controversial and spend a lot of "face time" at training facilities/stadiums. For example, Silvio Berlusconi, owner of AC Milan and also the Italian Prime Minister, can discuss nuances such as the "Christmas Tree" formation. He also appears in the entrance tunnels before and after games in Milan to congratulate his own players along with the opposition. According to Milano-Finanza on 29 January 2011, the American Group would control 60% and UniCredit would hold 40% when the binding offer is made next week. Source: La Gazzetta dello Sport, 29 January 2011. "Mister Di Benedetto (la sua famiglia ha origini abruzzesi), qualche mese fa ha deciso di provare l’avventura nel calcio europeo, in par­ticolare quello italiano e quando gli è stato fatto il nome della Roma è parti­ta l’avventura, spinto anche da alcuni cari amici che proprio in quei giorni gli avevano co­municato di aver comprato il Liverpool. Di Benedet­to ha una grande esperienza alle spalle e una prepa­razione di grandissima qualità. Ha un master in Bu­siness Administration conseguito presso la Wharton School, University of Pennsylvania e un Bachelor of Arts con lode in Economia presso il Trinity College di Hartford nel Connecticut, dove Bachelor deve tra­dursi con laurea". "Mr. DiBenedetto (his family is originally from Abruzzo) a few months ago decided to make an attempt at European football, in particular, Italian calcio. When the name of Roma came up, the adventure began, backed by a few dear friends who in those days had communicated to him about buying Liverpool. DiBenedetto has a great deal of experience behind him and a high-quality education. He has an M.B.A. from the Wharton School of Business and a B.A. with honors taken at Trinity College in Hartford, Connecticut. A bachelor's degree is the equivalent of an Italian college diploma." "Riprenderà a breve la riunione al vertice a New York tra UniCredit e la cordata americana capitanata da Thomas R. Di Benedetto dei Boston Red Sox per valutare l'acquisto dell'As Roma. In particolare, le parti stanno facendo un quadro complessivo della situazione per capire come articolare l'offerta vincolante che dovrà essere presentata entro il 31 gennaio". "Shortly, the meeting in New York between UniCredit (Roma investors) and the American group headed by Thomas R. DiBenedetto of the Boston Red Sox will resume to value the acquisition of AS Roma. In particular, the parties are making a comprehensive analysis of the situation to understand how the binding offer can be made by January 31, 2011." John Henry: "Getting my learners permit in football -a real challenge." Source: John Henry's Twitter Profile. According to ESPN SoccerNet on 26 January 2011, Thomas Di Benedetto is a partner with Fenway Sports Group (owners of Liverpool FC and the Boston Red Sox). Mr. Di Benedetto is also the President of Boston International Group, a global consultancy firm. "Al fianco di DiBenedetto, classe 1950, sposato e padre di cinque figli, e con evidenti origini italiane, ci sarebbero altri quattro investitori e in ambienti vicini alle trattative si fanno i nomi del presidente della compagnia assicurativa Succession Capital Alliance, Julian Movsesian, dell'immobiliarista Michael A. Ruane (Ta Associates Realty) e Arthur J. Falcone dell'omonimo gruppo real estate con quartier generale in Florida". "At the side of DiBenedetto, who was born in 1950, is married and the father of five children, with evident Italian origins, there will be four other investors and those close to the deal name the President of an insurance company, Succession Capital Alliance, Julian Movsesian, realtor Michael A. Ruane of Ta Associates Realty and Arthur J. Falcone of a similar real estate firm with headquarters in Florida." Thomas DiBenedetto is President of Boston International Group with offices in Boston and Los Angeles, CA. His son, Thomas Jr., is a minor league professional baseball player who played high school soccer and won a state championship. The TA Associates Realty website has office locations in Boston and Newport Beach, CA. The name of Michael A. Ruane indicated by the Italian source, "La Roma 24," was not listed after my attempts to locate more information about him. No directors or owners at this firm are listed on their website to the best of my knowledge. Julian Movsesian, CEO of Succession Capital Management of Newport Beach, CA, came to the United States from Egypt in 1976: "Estate planner Julian Movsesian has come a long way from flipping burgers." Arthur J. Falcone, Managing Partner of Americrest, is located in Boca Raton, Florida. "I tecnici del consorzio statunitense (sono in cinque, DiBenedetto, Ruane, D'Amore, Movsesian, Falcone) lavoreranno anche alla futura struttura del club". "The heads of the American consortium (there are five, Di Benedetto, Ruane, D'Amore, Movsesian, Falcone), will work also on the future structure of the club." "Il team di investitori è eterogeneo. Capocordata è un bostoniano già azionista dei Red Sox di baseball, gli altri hanno interessi in tanti settori, dalle telecomunicazioni all’edilizia, fino a imprese di sicurezza. Hanno un progetto a lungo termine: vogliono fare della Roma una moderna "media company". "The team of investors is diverse. The head of the group is from Boston and already a shareholder with the Red Sox. The others have interests in varied sectors, from telecommunications to building to insurance agencies. They have a long-term project: They want to make AS Roma a modern 'media company.' "
Source: La Gazzetta dello Sport, 25 January 2011. A detailed history of the Roman derby by CBC News in 2007: Il Derby della Capitale. According to the Gazzetta dello Sport, the American clothing and sports entrepreneur, John J. Fisher, is prepared to make an offer for AS Roma. Mr. Fisher, who already owns the clothing giants The Gap and Banana Republic, also has ownership interests in the Oakland Athletics (MLB), San Jose Earthquakes (MLS), and Celtic Glasgow (3.4% of the shares in the Scottish club since late last year). La Gazzetta quoted figures of 250 million euros, along with taking over 370 million euros in debt. According to the article, Mr. Franco Sensi would remain the honorary President of Roma. His daughter, Rosella, presently runs the daily operations. "RE DEL CASUAL - Da qualche mese, John vuole la Roma. John J. Fisher, la J. sta per Joseph, in onore del pediatra che gli salvò la vita. Californiano di San Francisco, 46 anni, ultimogenito di Donald, il fondatore di Gap e Banana Republic, due colossi dell’abbigliamento casual americano, con un patrimonio personale che Forbes ha stimato in 1,5 miliardi di dollari. È lui il magnate americano che ha deciso di investire nel calcio italiano, scegliendo la Roma, un nome e un marchio conosciuti in tutto il mondo anche più delle sue camicie." Source: La Gazzetta dello Sport, 18 March 2008. "King of Casual - For some months, John wants Roma. John J. Fisher, the "J: is for Joseph, in honor of the pediatrician who saved his life. A Californian from San Francisco, age 46, last child of Donald, the founder of Gap and Banana Republic, two colossal firms of American casual wear, with a personal net worth that Forbes has estimated at 1.5 billion dollars. He is an American magnate that has decided to invest in Italian soccer, choosing Roma, a name and brand known throughout the world better than his shirts." Steve Amoia is a freelance writer, editor and translator from Washington, D.C. He is the founder of World Football Commentaries. He has written and translated for AC Cugini Scuola Calcio (Italian soccer school), Beyond the Pitch, Football Media, Italian Soccer Serie A, Keeper Skool and Soccerlens.